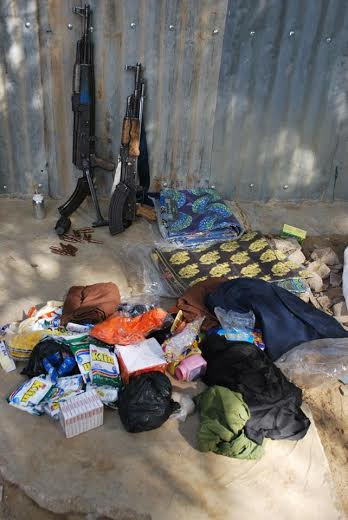 The Nigerian Army said troops on Operation 'Gama Aiki' ambushed and killed four Boko Haram terrorists in Kukawa, Borno State. A statement by army spokesman Colonel Sani Usman said in the early hours of yesterday, July 3, troops of 118 Task Force Battalion, 8 Task Force Division sprang a surprised ambush on some elements of Boko Haram terrorists along Gerere Junction, Kukawa Local Government Area, on the northern part of Borno State. 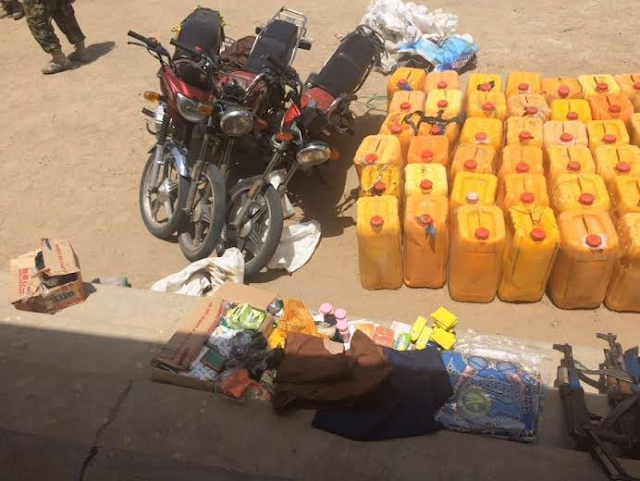 The Boko Haram terrorists were suspected to be fleeing from the advancing troops of 119 Task Force Battalion presently mopping the general area of Kangarwa in Kukawa Local Government Area. 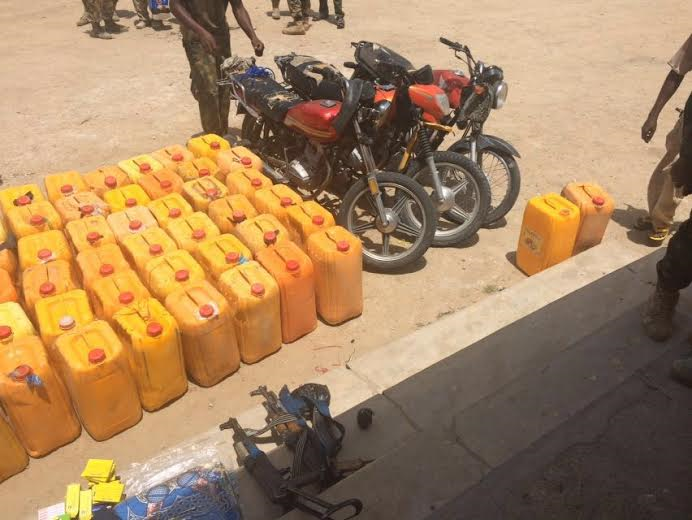 During the operation, the troops killed 4 Boko Haram terrorists carrying logistics items. 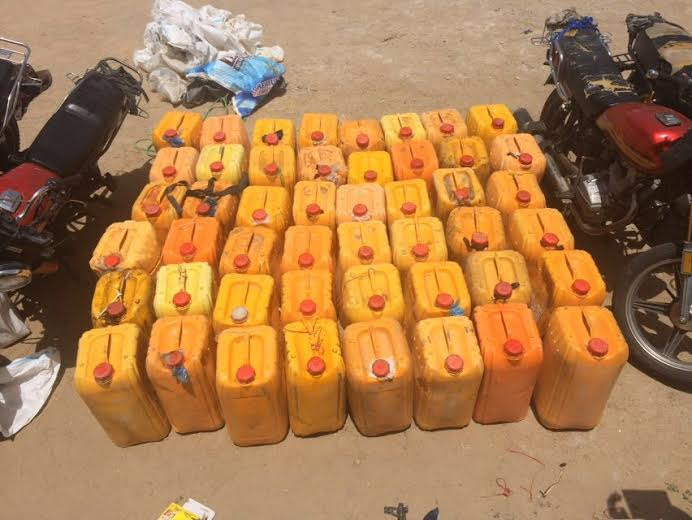 The troops recovered 48 Jerry cans containing 1,440 litres of Premium Motor Spirit (PMS) Automative Gas Oil (AGO), 8 Motorcycles out of which 2 were destroyed, 21 rounds of 7.62mm (Special) ammunition, 2 AK-47 rifles, an unprimed Improvised Explosive Device and a 36 Henagar Hand Grenade, as well as assorted drugs. However, one of the military vehicle and communication equipment were badly damaged from gun shots by the terrorists. The troops have continued to intensify vigilance and high level of alertness following concerted efforts of clearing the remnants of the terrorists. URGENT ASSISTANCE! URGENT ASSISTANCE!! URGENT ASSISTANCE!!! FOR THE NIGERIA ARMY REPLACEMENT, NDA, DSSC AND SSC IS GOING ON RIGHT AWAY IN KADUNA NIGERIA. ALL INTERESTED CANDIDATE SHOULD CONTACT OR WHATS-APP 2348133823045.